Gen Con Indy is just two weeks away, and I’m beyond excited about this year’s convention! If you don’t know anything about Gen Con, it’s a huge convention/nerdfest centered around all kinds of gaming that happens over four days every summer in Indianapolis. It’s also my favorite time of year, a weekend of playing games and catching up with friends from all over the country. There are literally thousands of events to attend, and the massive exhibit hall showcases board games, role-playing games, fantasy/sci-fi artists and authors, and vendors selling supplies for all your geek needs. If San Diego Comic Con is THE con for comics, then Gen Con Indy is THE con for games … at least in North America. 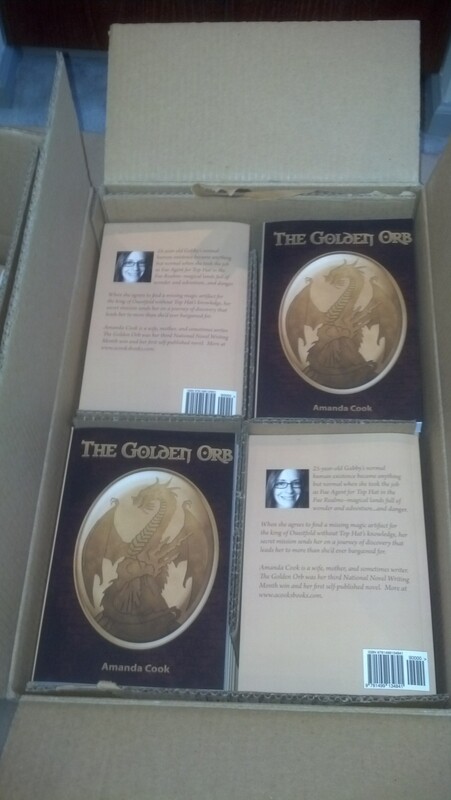 I’m exceptionally excited about this year’s con because I’m going to be giving away my book there! FOR FREE! My friends from Zombie Orpheus Entertainment/Dead Gentlemen Productions are being gracious enough to allow me to hang at their booth each day and hand out The Golden Orb to unsuspecting passersby … ahem, I mean their fans. As I do at every Gen Con, I plan on cosplaying a couple of those days, so you may find me in costume when you stop by the booth. I’ll let everyone know when I’ll be there and if there’s a change in plans. (This con is crazy busy, and sometimes, events change locations and times.) You can follow me at my Facebook page for A. Cook’s Books or on Twitter at @AmandaCook627 to keep up with the haps. There’ll probably be lots of pictures involved. If you plan on attending and I don’t see you there, have a fabulous time at Gen Con! And as one of my favorite writers/actors/mild-childhood-crushes, Wil Wheaton, always says: “Play more games!”. Previous Post 5 Stars for The Golden Orb!